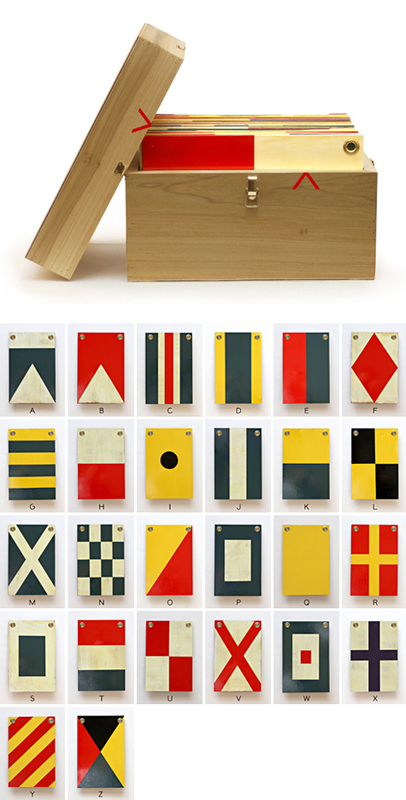 These handmade wooden nautical flags by Best Made Co. would look spectacular in a lake cottage. Each graphic represents a letter of the alphabet. Aren't they lovely?